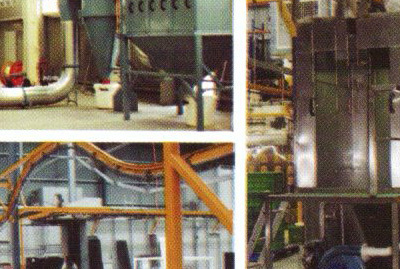 The process of aluminium extrusion is one that has found itself a home within many industries in the world. From the automotive industry to the International Space Station, and everything in between, employing the process of aluminium extrusion has been found to be not just ideal, but essential. The process of aluminium extrusion is one that clings to all of the scientific and technical progress that has been made within the engineering field. Maximising the potential of aluminium extrusion also involves catering to the benefits of powder coating. Today, we are going to take a step back in order to walk through the aluminium extrusion process while explaining, in detail, the value of powder coating as a finishing technique. The process of an aluminium extrusion all starts with an idea that is then rendered into action. The extrusion process is typically used within the engineering field when creators are focused on creating something with a fixed, cross-section profile. The process involves using a meticulously crafted die, melted aluminium, and several different stages of action. The first step in the process involves creating the exact shape of the die that will be used to create our final product. After this is complete our aluminium alloy is heated to extreme temperatures before being pushed toward the extrusion machine. Much like a bottle of toothpaste being squeezed free of its contents, the aluminium is pushed through the specially customised die. The process is extremely hot and technical on its surface, but ultimately simple in its execution. After the blistering-hot aluminium alloy is shaped by way of the designed die, it becomes time to heat treat and powder coat the final product. The aluminium alloy needs to be treated with something that gives it both texture and colour while also maximising its value to customers in industries all around the world. In this scenario, there is nothing more effective than powder coating. 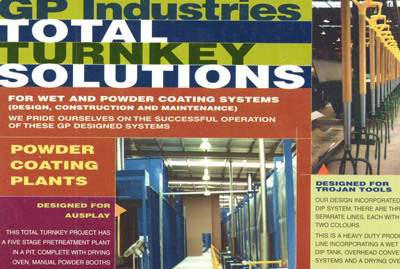 Powder coating is an incredibly valuable finishing process that is used within every industry in the world, big or small. 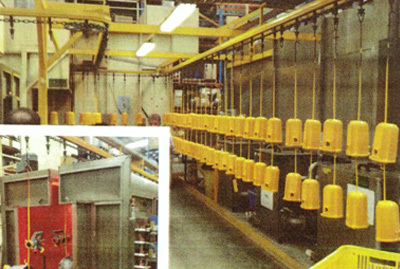 Powder coating involves pushing our aluminium object into a powder coating station. Inside of the station, the object will be coated with an atomised powder that is the colour of choice for the customer. This powdered is heated up and then summarily sprayed over the object, after which it is allowed to harden and smooth onto the surface of the cross-sectional design. Powdered coating technology allows these objects to last longer, look better, and work more effectively within their final destination.